How can we measure technology adoption at scale? 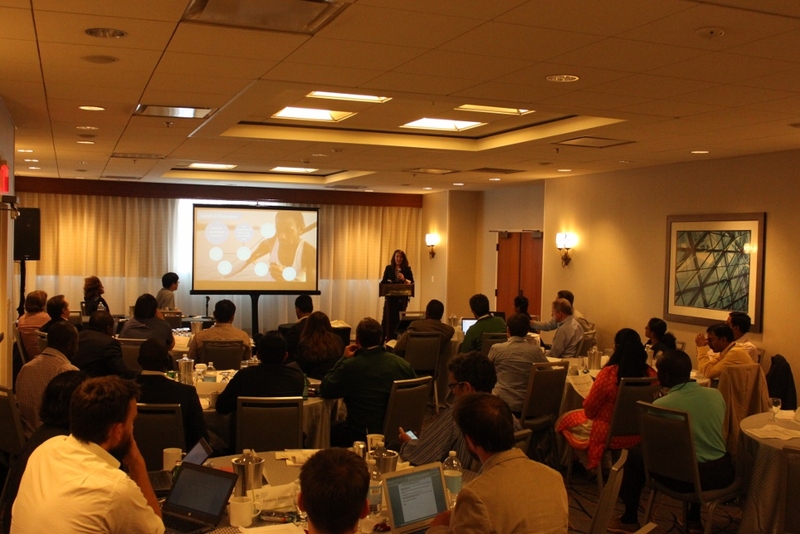 A workshop titled "Innovative methods for measuring adoption of agricultural technologies: Establishing proof of concept and thinking about scaling up" was held on August 3-4 in Boston, USA following the 2016 Annual Meeting of the Agricultural and Applied Economic Association (AAEA). The event was jointly organized by Michigan State University, the Standing Panel on Impact Assessment (SPIA) of the CGIAR Independent Science and Partnership Council (ISPC), and the CGIAR Research Program on Policy, Institutions, and Markets (PIM). 44 participants from 28 public and private institutions showcased results from various pilot studies using new, innovative adoption measuring methods and discussed lessons learned. 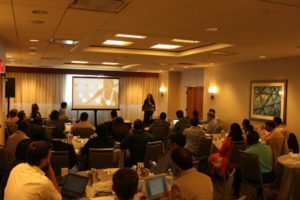 The workshop program was designed to focus on technical aspects of the adoption measurement methods and their scaling-up potential in the developing world. 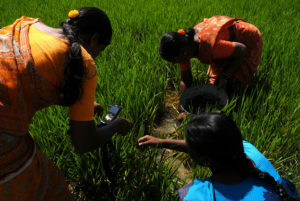 Methodologies covered in the workshop sessions ranged from the conventional practice of experts’ opinion elicitation method to DNA fingerprinting, remote sensing, ICT-based rapid survey, and surveys at informal markets. Participants also brainstormed on the most appropriate mechanism for institutionalizing the adoption measurement and the scope of outsourcing. While there was a lot of excitement about using the innovative new methods, participants critically examined each method’s pros and cons and potential caveats to apply those in various commodities and countries. Scaling-up cost of each method was also discussed to ensure the practicality. Overall, participants agreed there isn’t a silver bullet (yet); many more trials are needed for the research community to fully take advantage of these methodological innovations in practice. Another important agreement among participants was that there would be no short-cut. These new measurement method would not diminish the importance of good, reliable sampling frame (which can be certainly assisted by new advances in data science). During the wrap-up session, many participants (especially those from CGIAR) proposed that SPIA continues convening this type of workshop in the future, possibly piggybacking on the annual AAEA conference. Colleagues were excited about how much they learned from interactions with their peers who work on the same issues but with different approach. All cheered each other to continue developing inspiring case studies and sharing their lessons learned.